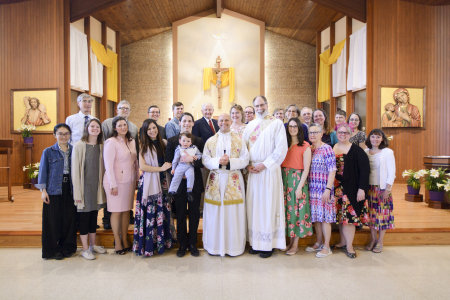 Welcome to Good Shepherd Catholic Church! "I am the good shepherd, and I know mine and mine know me, just as the Father knows me and I know the Father; and I will lay down my life for the sheep" (John 10:14-15). 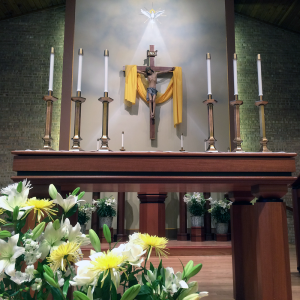 Morning Masses on First Saturdays will be celebrated in the Extraordinary Form. + Sunday:	8:30 a.m. & 10:30 a.m.
+ Wednesday:	7:30 a.m. to 8:00 a.m.
+ Thursday:	8:15 a.m. to 9:00 a.m.
+ Friday:	6:45 a.m. to 7:15 a.m.
+ Saturday:	9:00 a.m. to 10:00 a.m. & 3:30 p.m. to 4:30 p.m.
Fridays - 8:00 a.m. - 12:00 p.m.